The semiconductor material in MOSFET is silicon, but new versions use a mixture of silicon and germanium (SiGe) in the channels. Silicon dioxide or silicon oxy nitride is used as the insulator to isolate the channel from the gate. When an electrical potential is applied to the gate of MOSFET, the electric field penetrates the oxide layer and causes the formation of an inversion layer or channel between the semiconductor and insulator. The inversion channel thus formed will be similar to n or p types of the other electrodes- source and drain. Through the channel, current passes and the varying voltage between the gate and body of the MOSFET, modulates the conductivity of the channel which in turn regulates the current flow between the drain and source. The source and drain contacts are made using Aluminiumand the rest of the substrate surface is covered with thin oxide film. The gate electrode is laid on the top of the insulating oxide layer. The oxide film contains Silicon dioxide( SiO2) .The p- substance is lightly doped so it has high resistance and prevents the passage of current from source to drain if there is no gate voltage. MOSFETs are voltage controlled power devices driven by current. If a positive voltage is applied between the gate and source, MOSFET, the positive voltage push away the holes in the p-substance and attracts the electrons in the n- substance under the source and drain electrodes. This creates a channel under the gate insulator through which electrons move from source to drain. Increased gate voltage further increases the thickness of the channel which increases the current flow. Due to this property, the MOSFET is said to be an enhanced mode device.Since the p- substance is thin, even a small gate potential can cause current flow from source to drain. Gate electrode is positively charged and repels the holes in the p-substance so the p- region curve so many electrons accumulate in the conduction band. FinFET- It is a double gated MOSFET. It is designed to reduce the drain induced barrier lowering. 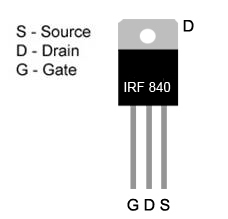 Dual gate MOSFET – It has a tetrode configuration and has two gates controlling the current in the MOSFET. It is widely used in RF circuits where the second gate is used for gain control or frequency conversion. Depletion mode MOSFET– In this type, a channel exists even if there is zero voltage between gate and source. Unlike the general purpose enhancement mode MOSFETs, these are depletion mode devices. A negative voltage is applied to the gate in n- type device to control the channel so that current flow can be reduced. Thus it behaves like a normally closed push switch. 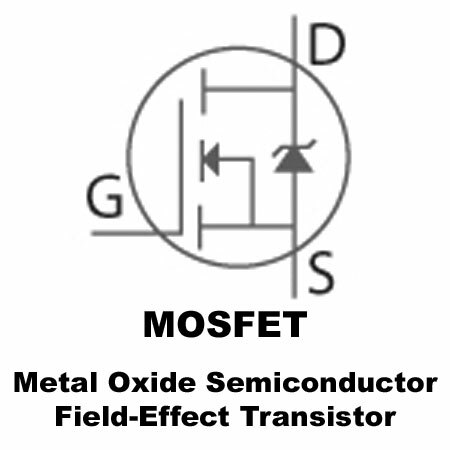 Depletion mode MOSFETs are used in RF circuits and Televisions as AGC and RF mixers. Common types of depletion MOSFETs are BF 960 family and BF 980 families. Power MOSFET– Power MOSFET has a vertical structure and is different from standards MOSFETs. These are mainly used in switching applications. The vertical structure is provided to sustain high voltage and current. The voltage rating of Power MOSFET depends on the doping and thickness of the n-epitaxial layer and the current rating depends on the size of the channel. That is, a wider channel can provide high current. This property is different from the standard planar structure MOSFETs and in them, the voltage and current handling capacity depends on the channel width and length. 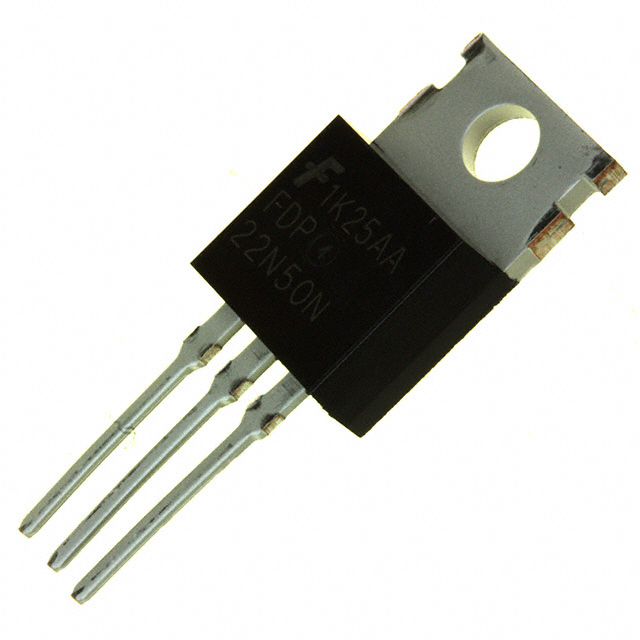 Power MOSFETs are also available in lateral structure which are used in audio amplifiers. Most power MOSFETs are made using the technology of double diffused metal oxide semiconductor technology. Such MOSFETs are called DMOS. New experiments in MOSFET design are focused on to develop MOSFETs that can withstand harsh environments like outer space. One new introduction is the RHBD design or Radiation Hardened By Design which uses the ELT (Enclosed Layout Transistor) in which the gate surrounds the drain and is arranged in the middle of ELT. The source then surrounds the gate. 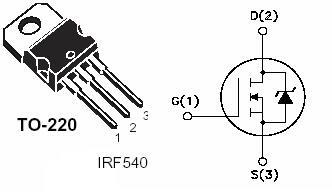 H-Gate MOSFET is another design and both RHBD and H-Gate MOSFETs are low leakage versions. The most important aspect of MOSFET is its sensitivity. Most devices are static sensitive and even a single touch on its pins can damage the device due to static electricity in the hand. So antistatic measures are necessary to handle the device. One simple tip is to touch the pins using a plier so as to discharge any accumulated static charge. When radiation hits the MOSFET, channel inversion takes place and the device creates off state leakage path and turns on. 4. Then touch the red probe to the drain. The reading should be low. 5. The MOSFET gate capacitance has been charged by the meter and MOSFET turns on. 6. Keep the red probe connected to drain, and touch the finger between the source and drain. 7. The meter will show a high reading due to discharge of gate charge through the body indicating a non conducting device.